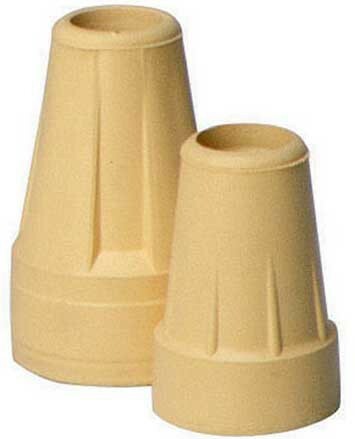 Standard Crutch Tips, manufactured by Carex, are sturdy replacement crutch tips. You may select this product to improve the durability of your crutches. Featuring extra tread and metal reinforcement, Standard Crutch Tips will improve the durability and provide skid-resistant traction for crutches. The standard base of the crutch tip provides an excellent grip on floor surfaces, too. In addition to superior traction, Standard Crutch Tips have a longer-than-average life span. 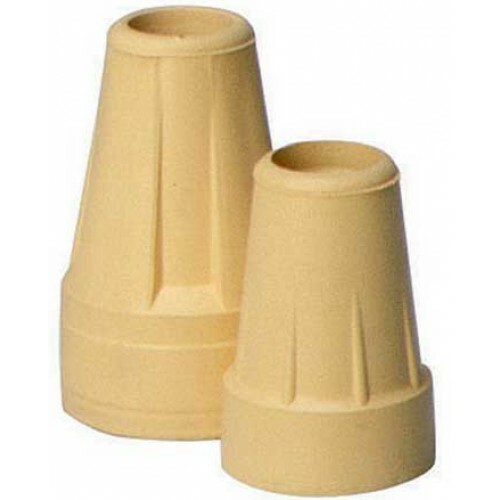 Standard Crutch Tips are compatible with Carex crutches, however they will fit most other brands. Compatible with Carex and other brands. Product Numbers: A71500 and A71600. Very Unhappy with my Order from Vitality Medical! When I received the Crutch Tips I was extremely "dissapointed" to find that they were not the original Rubbermaid product that I ordered. I chose Vitality Medical website because they advertised that the crutch tips they were selling were RUBBERMAID products. They are Not Rubbermaid Products!!! They are Carex. I have purchased Carex tips at my local pharmacy in the past and found them inferior to Rubbermaid tips. I called Vitality Medical to try to correct this mistake. I was told that Rubbermaid was now owned by Carex. My experience with Carex Crutch Tips is NOT very good. The original Rubbermaid Crutch Tips lasted 6 to 8 weeks before wearing out. The Carex crutch tips wear out in 3 to 4 weeks. In addition to wearing out in half the time they Split on the edges and become dangerous because they DO NOT GRIP most surfaces when they are split. I have fallen twice due to these split Carex tips Not gripping the surface which causes my crutches to slide out away from my body, resulting in my falling and injuring myself. I will not purchase Carex tips again. They are DANGEROUS!!!! !